Tree craft ideas are always something that I am searching for each autumn. It just seems like as the leaves fall outside, we need to honor that with something craft. These tree craft ideas use easy stencils. So easy that even a young child can craft along! This is the season when leaves fall from their homes in tree branches and cascade to the ground. The branches are left to bare with only their bark to protect them. Why not create a tree craft that does the opposite? 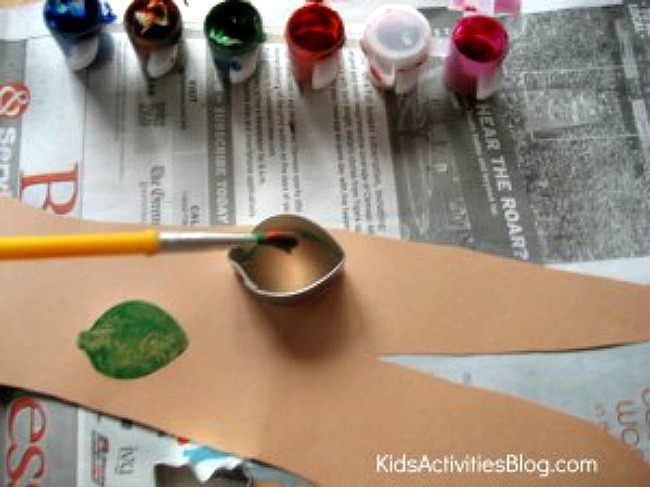 Stenciling leaves on to a construction paper tree branch will leave it covered with color and wonderful designs. Cookie cutters of any shape and size make for easy stencils that could be used to decorate the tree branch. We happened to have fall leaf cookie cutters at our house. Cookie cutters in simple basic shapes or Halloween themes or Thanksgiving themes would be great to use. 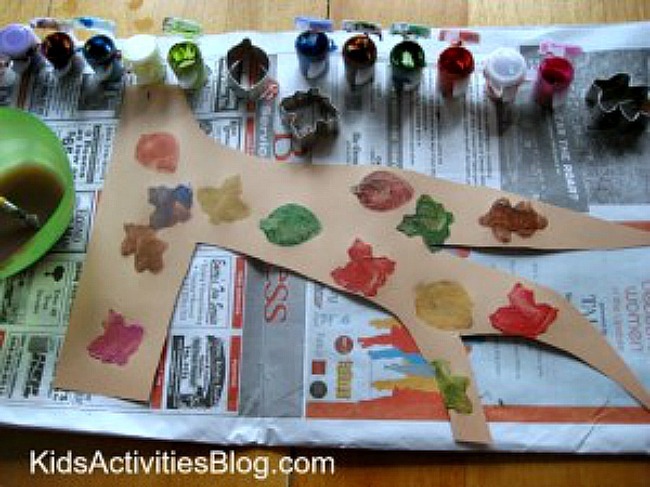 Children can easily paint inside a cookie cutter to add a shape to the paper. By just rubbing the paint brush from side to side as you go across the cookie cutter. Bumping the brush forward and backward or around in circles can also be done easily by a child old enough to grip the paint brush. 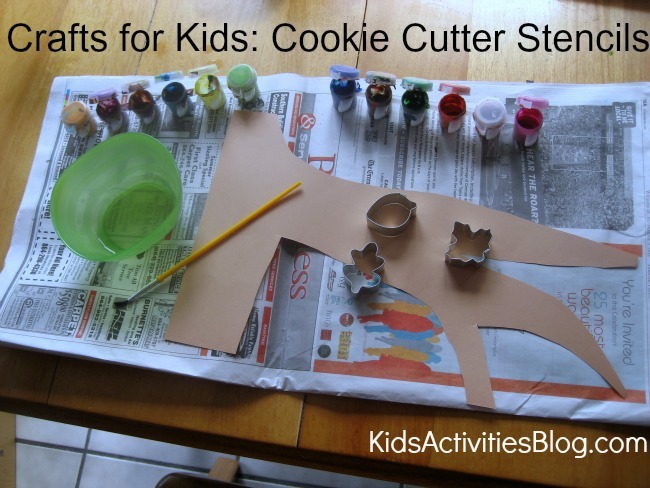 The cookie cutters are easy stencils that children can move around the paper after painting in it. The cookie cutter can be turned over, turned diagonally, or just slid down the paper. By using a stencil to create the leaves and knowing what they would look like, we opened a door of being willing to experiment with some of the other element of painting for my son. We had a great time trying to place with placing the cookie cutters on the construction paper completely and having only part of the leaf appear of the branch. Colors was also experimented with. For his tree craft, my son chose some very traditional fall colors and some colors that don’t ever appear on leaves or at least not leaves on trees near us. Some children jump right into painting and creating. Others like my son prefer to have a little more structure to what they are painting and really like to know that it is going to look like the image they pictured in their minds. Easy stencils give those type of children the opportunity relax and just enjoying the process. They open the door for them to take other risks like stencils placement and paint color.